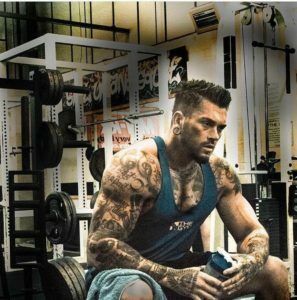 Alongside regular modelling work and TV appearances on ITV’s Love Island, Jordan Ring (nicknamed The Hulk) is working with a number of gyms to promote the range of qualifications available to those seeking to becoming fitness professionals. We spoke with Jordan about his interest in the industry and the features of modern fitness industry qualifications. Jordan, you earned the nickname, The Hulk, whilst on your TV appearances, but Marvel haven’t been in touch yet? I work hard to keep myself in shape. I learned a lot when I gained my Personal Training qualification, which is some time ago now, but I still use those basics in my programmes today. Fitness training is constantly evolving and certain trends come and go but Personal Training and the use of Personal Trainers has always remained in the top 10 globally. What would you say are some of the key considerations when picking a fitness course? I think a course needs to be accessible and up to date. New technology makes it easier to access learning wherever you are. I’d say you should be looking for a course with a decent online learning platform, that will give you access to your comprehensive up to date knowledge content 24-7. You can even work through this stuff on your iPad or smart phone. Working through course content that is underpinned by Active IQ ensures you’re working with a fully industry recognised and accredited programme. If you’re anything like me, you’ll have a hectic schedule. I know courses that I can pick up and work through when I have the time. You then need a provider where you can access help from a professional when you need it. TSP’s programmes give you that flexibility and style of approach. That support mechanism is important to keep you on track? For me, it’s no good just being a number in a system. In the same way that a good PT will support their clients with a personalised fitness programme, you need a training provider who will get to know your specific requirements. I know that TSP create a personal learning journey for you and your personal tutor will be able to support you with your individual development needs. Any tips for breaking into the industry, job wise? Get qualified, live the lifestyle, get to know the people who are already successfully working in the industry and don’t be afraid to ask for an opportunity. You need to be confident enough to work with people. A good PT is not only a good fitness professional but has the business knowledge to know how to market their services. Jordan continues his fitness journey and is working with gyms across the country to promote Fitness industry qualifications and programmes for those in the industry who want to develop themselves further. 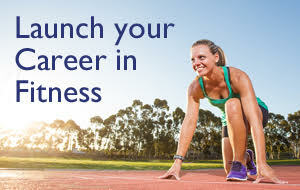 Launch your career in Fitness today! Our professional qualifications are nationally accredited by Active IQ. Work at your own pace with the support of your Personal Tutor. Advanced learning loans may be available for these courses, check your eligibility today. For further information on each course please click on the course name.